Mr. and Mrs. Crabbe are enjoying their seaside vacation . . . until a certain dog blows away their umbrella with an enormous fart. 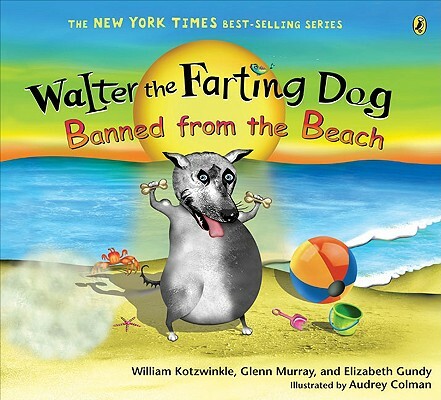 Before long, Walter is banned from the beach. While Walter is stuck in the beach house, Betty and Billy hunt for treasure out on a sandbar. As soon as they find a nickel, Mr. and Mrs. Crabbe elbow their way in. Soon all four get marooned during high tide. Will Walter hear their cries for help? William Kotzwinkle and Elizabeth Gundy live in Maine. Glenn Murray lives in Fredericton, New Brunswick, Canada. Audrey Colman lives in Berkeley, California.